Sunday night, the HBO series “Game of Thrones” begins its fourth season of realpolitik-with-dragons. And perhaps no one has longed for a return to the corpse-strewn land of Westeros so much as connoisseurs of the show’s invented languages, Dothraki and Valyrian. Over the past 30 years, Hollywood has become far more interested in getting languages right onscreen—even ones that are completely made up. An actor who once would’ve barked some gibberish is now given lines drawn from an entire alien language, with a complex grammar and vocabulary. In the past, the people writing these languages have been mostly academic linguists. But David Peterson, the inventor of Dothraki and Valyrian, is something of a new breed. The creator of 12 languages before he wrote Dothraki in 2010, Peterson is not just the first major language creator in Hollywood to identify primarily as a “conlanger,” or maker of constructed languages. He’s also probably the only professional language creator ever. It’s an odd career path, but with Hollywood heavily investing in geeky authenticity, it may well be one that’s here to stay. Peterson, meanwhile, talks about conlanging as a defining obsession, “a hobby I couldn’t kick.” He began inventing languages when he was an undergrad at Berkeley before going on to a master’s in linguistics at UC San Diego. In 2007, he helped form the Language Creation Society, a conlangers group. When the producers of “Game of Thrones” needed someone to write a language for the warlike, horse-loving Dothraki tribe in season one, Arika Okrent, a linguist and author of the book “In the Land of Invented Languages,” suggested they ask the LCS. Peterson rose to the occasion, and his Dothraki, with Russian, Turkish, Estonian, and other influences and a lot of words about horses, was the result. “It’s a native conlang conlang,” Okrent said. Frommer, a linguistics PhD who was a business communications professor at USC before retiring, demurred on this point: “I really don’t know if we approached things that differently,” he told me. Frommer didn’t study other conlangs, not wanting to be influenced in his work. But both Frommer and Peterson followed Tolkien’s approach of starting with a proto-language and aging it based on principles of historic linguistic shift, thus creating a flexible, more authentic-sounding language. 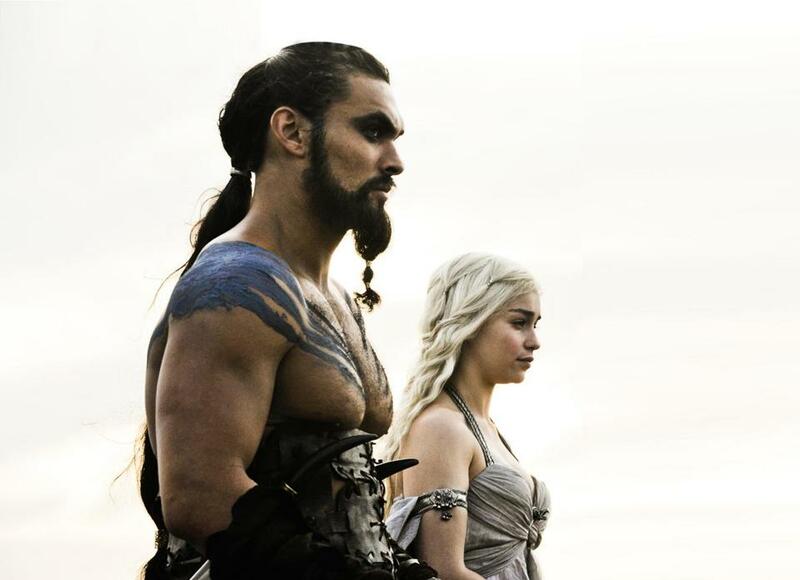 Both infused their invented languages with cultural specificity: Dothraki, for example, has no word for “please.” Na’vi, due to the importance of ceremony on Pandora, has a ceremonial register with different versions of pronouns. The real differences may be less linguistic than cultural—and professional. Peterson’s prominence in the conlanging community gave Dothraki an immediate stamp of nerd authenticity, a boon in an age when fan attention to details like period slang and dress has reached obsessive heights. Whereas Klingon and Na’vi fans had to seek out Okrand and Frommer, Peterson was present in online forums from the very beginning, as obsessive as anyone else. And, unlike Okrand and Frommer, who never sought to become full-time conlangers, he’s parlayed the gig into an ongoing career: As far as he knows, Peterson is the only person in the world who earns a living by making up languages. He’s since written conlangs for “Thor: Dark World” and the SyFy show “Defiance.” The upcoming season of “Game of Thrones” features a new Valyrian dialect he wrote, Meereenese, which involves “a lot of shushing” noises, he said. Tolkien’s “secret vice” has, today, become a respectable profession. Whether Peterson’s “Game of Thrones” languages will endure longer than the run of the show is still in question. And one unexpected threat to Dothraki might be that it does its job too well. Richard Littauer, a Web developer in Brooklyn, helped write the first Na’vi dictionary and also helped found the original Dothraki Web forum. He says he found Dothraki more “fleshed out” and “a little more realistic” than Na’vi. But he couldn’t enjoy the language without thinking of the ferocious Dothraki themselves. “I’m not a bloodthirsty Mongol warrior,” he explained, with a hint of regret.